Thank you for supporting our business. 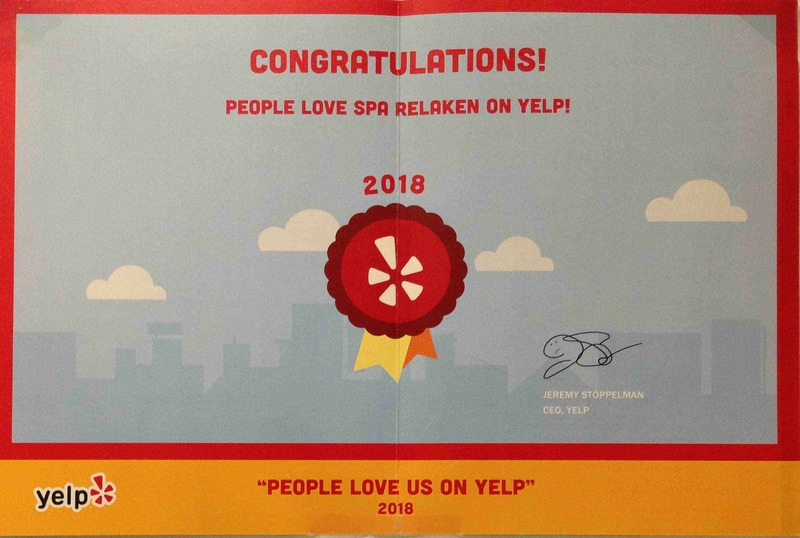 We received a notification from Yelp 2018. Wonderful spa retreat. The premises, staff and treatments are 5 Stars. We will be returning regularly. Very peaceful place, friendly staff, very clean and well organize place, definetly will come back😍😍! Beyond amazing! I’m coming back very soon. The hot stone room was very relaxing. The spa is very clean. I was pleased from the moment I walked through the spa. Tranquility set in..